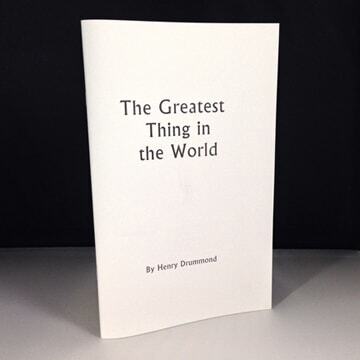 Mr. Henry Drummond penned this meditational piece in 1874 at age 23. The book is based on the oft-quoted I Corinthians 13, emphasizing how important this chapter in the Scriptures is to the well-being of man. Many millions of copies have been sold over the years. To this day, this book continues to inspire many to follow God’s two great commandments, to love God and love our fellow man.